The future of the Alien franchise has been in flux for a while now, but a new interview with Sigourney Weaver confirms what many fans have theorized: the next film will ignore the third and fourth Alien movies. 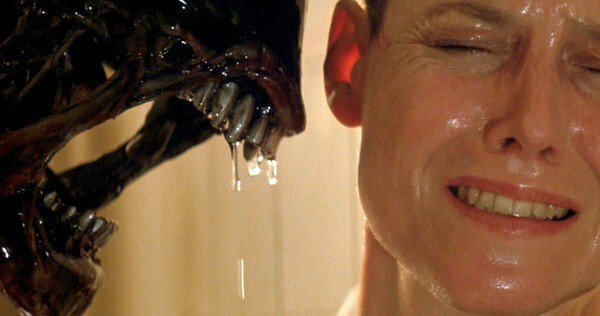 Speaking with EW, Weaver, who will reprise her iconic role of Ripley in the new film, confirmed the plot trajectory of “Alien 5”. The film is currently in the pre-production stages and set to be directed by “District 9” director Neill Blomkamp. “It’s just as if, you know, the path forks and one direction goes off to three and four and another direction goes off to Neill’s movie,” she says, confirming the rumours that the film would overlook the events of third and fourth “Alien” films as a direct follow-up to “Aliens”. “Aliens 5” should be confused with that other “Aliens” project, currently underway from Ridley Scott. After the success of 2012’s “Alien” prequel “Prometheus”, filming is currently underway on “Alien: Covenant”. A sequel to “Prometheus”, Scott’s upcoming film will focus on the crew of the colony ship Covenant who discover what they think is an uncharted paradise, only to discover it’s a dark and dangerous world inhabited by the android David, the ole survivor of the Prometheus expedition. Michael Fassbender reprises his role as David in the film which also sees the return of Noomi Rapace as Elizabeth Shaw. The new chapters in the “Alien” story are coming just as renewed interest in the original films reaches peak nostalgia. “Aliens” is celebrating its 30th birthday in a big way with an event scheduled at Comic-Con later this month. The celebrations even have director James Cameron excited.